The United States of America and the European Union, as an entity encompassing the economies of all of its member countries, represent the world’s two biggest economies. Bearing that in mind and even leaving speculative trading aside, it is quite logical that the euro and the US dollar are the two most traded currencies, given their status of major reserve currencies and their countries’ influence on the international trade scene. As a result, the EUR/USD cross is the most widely traded and liquid pair in the Forex market and accounts for 24.1% of the total turnover as of April 2013, according to the Bank for International Settlements. As with any other pair, entering a long position would mean buying the base currency (EUR), while selling the quote currency (USD), and vice versa. Thus, when considering how to act, a trader, especially a fundamentalist, should take into account fundamental factors affecting both the US dollar and the euro. Here is a snap overview of the two economies. The United States is the world’s largest economic power with a nominal Gross Domestic Product (GDP) at the amount of $16.8 trillion in 2013. It represents almost 25% of the global nominal GDP. It is also the world’s second-largest trading nation. The US economy is primarily service-oriented, as almost 80% of the GDP is produced by sectors such as real estate, transportation, financial services, other business services and health care. The country is the second-largest manufacturer in the world with an industrial production of $2.43 trillion during 2013, or larger than the output of Germany, France, India and Brazil combined. Major industries are petroleum, steel, automobile production, aerospace, construction and agricultural machinery, chemicals, electronics, telecommunications. Moreover, as of 2013 the United States is the third-largest producer of oil (8 453 000 barrels per day, or 9.97% of the global total oil production) and the largest natural gas producer (66.5 billion cubic feet per day). Taking into account the sheer size of the US economy and its pillars of strength, one can clearly understand the effect of economic data from those sectors on the US dollar, and in turn on the global Forex market. After all, the greenback stands on one side of 87% of all trades, according to the BIS. Moreover, as a single entity combining the economies of its member countries, the European Union is the world’s leading economic power, with a Gross Domestic Product of €12.945 trillion in 2012. In terms of trade, the EU is the world’s second largest exporter and the biggest importer. Although the euro has not been adopted by each member, 18 countries currently use it, and Lithuania will introduce it on January 1st 2015, replacing the Lithuanian litas. However, all EU members, apart from the UK and Denmark, have pledged to join the Eurozone once the necessary conditions are met, ensuring an ever-increasing significance of the euro. 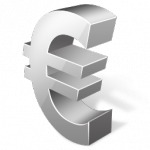 As of April 2013, the euro stood on one side of 33% of all trades in the foreign exchange market. Although the Eurozone’s economy, like in all other developed countries, is primarily service-oriented, the single-currency bloc has a highly advanced manufacturing sector, led by powerhouse Germany. As such, services and manufacturing activity figures both have a strong influence on the euro. Here is a list of indicators causing major volatility. – Individual member countries’ budget deficits and debt ratios. To read more about the economic indicators listed above, please refer to our article “Profile of the Euro – Characteristics and Major Economic Indicators“. The European System of Central Banks (ESCB) consists of the EU members’ national central banks (NCBs) and the European Central Bank. The ECB is the governing body which accounts for determining the monetary policy for the member countries. Decisions are taken independently by the ECB’s Governing Council, which includes the governors of the Euro zone’s NCBs and the members of the ECB’s Executive Board. New monetary policy decisions are adopted with a majority vote, with the president having the deciding vote in case of a tie. Member states outside the single-currency bloc coordinate their monetary policy with the European Central Bank. Both the ECB and the ESCB are institutions above the control of national governments and other European institutions, thus, their monetary policy decision-making is completely independent. The primary objective of the ECB is to ensure price stability and sustainable growth within the European Union. The ECB has defined price stability as a year-on-year increase in the Harmonized Index of Consumer Prices (HICP) for the euro area of below, but close to 2%. It has three sets of instruments to control monetary policy: open market operations, standing facilities and minimum reserve requirements for credit institutions. The interest rate on the main refinancing operations is the benchmark, closely watched by market participants. In 1998 it was introduced at a level of 3.00%. On June 8th 2000 the ECB announced that, starting from June 28th 2000, the main refinancing operations of the Eurosystem would be conducted as variable rate tenders. Later, on October 8th 2008, the central bank announced that, starting from October 15th 2008, the weekly main refinancing operations would be carried out via a fixed-rate tender procedure. The benchmark rate on these operations was set at 3.75%. Within the period 1998-2014 this benchmark registered an all-time low of 0.05% at the ECB’s policy meeting on September 4th 2014, while its all-time high (4.75%) was recorded in October 2000. Since the beginning of 2014 the central bank has introduced two rate cuts – by 10 basis points to 0.15% on June 5th, and by another 10 basis points to the current record low level of 0.05% on September 4th. At the most recent meeting on policy (December 4th) the Governing Council of the European Central Bank decided to keep the interest rate on the main refinancing operations unchanged at 0.05%, while also maintaining the interest rates on the marginal lending facility and the deposit facility at 0.30% and -0.20% respectively. As harmonized consumer inflation in the Euro zone remained persistently low and economic growth – sluggish, in order to spur activity, the ECB began purchasing covered bonds and asset-backed securities. These purchase programmes are scheduled to last for at least two years. Depending on the Forex broker used, the spread can be fixed, floating, or both. For the purpose of this article, we have chosen the average spreads provided by 10 brokers, namely Saxo Bank, Dukascopy, Alpari UK, XM, Forex.com, FxPro, Markets.com, eToro, FXCM and Iron FX, and aggregated all the spreads data into a single average spread, in the EUR/USD case – 1.6 pips. We conducted a series of calculations to gauge the performance of the EUR/USD pair relative to other crosses which include either the euro, or the US dollar over a certain period of time. For details about the calculation’s results, visit the appendix. Let us begin with table number two, which reflects the strength of the euro against a number of currencies. Calculations are conducted on the basis of the EUR/USD cross, which registered a prominent high on May 8th 2014 at 1.3993. Thus from here on, we calculate the movement of each euro cross with the May 8th high as a starting point and spanning to the December 31st close. As you can see from the table, the euro registered its strongest performance against the Norwegian krone, having advanced 10.88% for the period. The krone tumbled in the second half of 2014 as oil prices more than halved, hurting the economic outlook for Western Europe’s biggest oil and forcing the country’s central bank to cut interest rates in order to safeguard growth. The euro also gained on the Swedish krona and marked minor gains on the Japanese yen and Australian dollar. However, it fell against all of its other major trading partners, including a 13.5% decline against the US dollar due to the divergent monetary policy stances of the Federal Reserve and the European Central Bank. Relative to the euro, the US dollar was the best performer, as visualized by Table 2.1. Federal Reserve officials abandoned the “considerable time” phrase, which was previously used to a hike timetable, on their last meeting for 2014 and indicated that the central bank will likely gradually raise borrowing costs, most likely starting in the third or fourth quarter of 2015. Conversely, the European Central Bank its benchmark interest rate to record low and introduced broader monetary stimulus measures to fend off deflationary pressures. In finance, correlation refers to the connection between two assets and how they move in relation to each other. As a key component of advanced portfolio management, correlation is crucial for achieving maximized risk-adjusted return. Ranging between -1 and +1, a correlation close to the upper limit means that the two currencies are moving in almost perfect consonance, allowing for almost no diversification, and vice versa. A correlation of 0, which in the world of finance practically does not exist, means that movement of the two assets is completely random. Below you can see a table containing pairs with some of the strongest positive and negative correlations relative to EUR/USD. The statistics are derived from daily market data encompassing 300 periods. Volatility in Forex refers to the fluctuations a currency exhibits during trading. In turn, these fluctuations directly impact the amount of risk a trader is subjected to, but also his return. A higher volatility means that the currency could potentially perform a sudden and drastic move in either direction over a short period of time. In contrast, low volatility implies that the exchange rate does not have the potential for wide fluctuations and instead moves at a steady pace over a longer period of time. Lower volatility carries less risk for market participants but it is also much harder to profit from, especially by shorter-term traders such as scalpers and day traders. For the purpose of our article, we have selected to display volatility calculated for 2014 on a daily basis. Check the table below. Date High Low Intraday Vol. Daily Vol. Based on our calculations, we estimate that the EUR/USD pair achieved an average intraday volatility of ~0.51% for 2014, while day-to-day volatility was at ~0.47%. Compared to other currency pairs (as you would see in case you check out the other articles in this guide), the EUR/USD pair is overall much less volatile. Check out the appendix for a table containing aggregated data for all pairs (Table 4). Digging deeper into EUR/USD, for the year the pair displayed the biggest daily volatility in January, at about 95 pips, after which it gradually declined to bottom out at around 70 pips in late August and then began to steadily rise through the end of the year, reaching 75-80 pips in late December. In weekday terms, EUR/USD sees the greatest volatility on Thursday, at almost 90 pips, while Wednseday and Friday are overall tied for the second place at 76-78 pips. Monday is the least volatile day for EUR/USD trading at little over 60 pips. This can be attributed to the most important economic indicators and other events, which are typically released in the second part of the workweek (for example ECB’s interest rate decision is on Thursdays; FOMC’s meetings are concluded on Wednesdays and Fed minutes are released on Wednesdays as well, while the US jobs report, which contains non-farm payrolls and unemployment rate, is released on Fridays, and so on). As for hourly terms, volatility is highest in two well distinguishable periods – between 7:00 GMT and 10:00 GMT when it keeps in range of 17-22 pips, and between 12:00 GMT and 16:00 GMT when it hits 22-26 pips. The first is the opening of the European session, when European traders join the market, and the few hours that follow, during which major economic data from Europe are released. The second period contains the early US trading hours, the overlap between the European and US trading sessions and the typical time of release of the indicators of most significant importance (apart from Fed policy meeting and Fed minutes). Carry trades are one of the most popular trading strategies used in the Forex market. When performing a carry trade, a trader typically sells a currency with a relatively low interest rate, while buying a higher-yielding one. The aim is to profit from the difference in interest rates, which can be substantial, especially when taking into account leverage. To learn more about carry trades, please read our article “Using Carry Trades to Maximize Profit“. The EUR/USD pair currently is not used in carry trades. Both the Federal Reserve and the ECB have set interest rates at historically low levels in order to spur growth. However, with their monetary policies beginning to diverge, the pair might become more suitable for carry trades in the future, but not just yet. Using a basic carry trade calculator shows us that going short on EUR/USD with a standard lot and holding the position over 30 days would earn us around $20 in interest, respectively $2 for a mini lot and $0.20 for a micro lot. For comparison, going long on NZD/USD with the same parameters would earn us $267, almost 13 times more. Different strategies can be employed when trading the EUR/USD pair. Because it is the most liquid cross, it can be speculated upon during the entire day, although highest trading volumes and volatility can be expected during the European and US trading sessions, and more particularly when key economic indicators are released. Logically, the most intense trading will occur at the release of economic reports such as the US non-farm payrolls and unemployment rate, economic sentiment, manufacturing and non-manufacturing activity growth, durable goods orders, consumer inflation, retail sales and so on. Trading the major economic releases and other events without the help of technical analysis is basically done using three general strategies – using a proactive, a reactive, or a mixed approach. Proactive trading suggests entering a position ahead of the release of the data and basing your decisions on analysts’ forecasts, while the reactive approach implies entering the market after the data are published. Logically, a mixed approach combines the previous two. To learn more about these styles of fundamental trading, read our articles “Trading the News – Proactive Approach“, “Trading the News – Reactive Approach” and “Trading the News – Combining the Proactive and the Reactive Approaches“. There is a vast number of technical strategies that can be applied when trading the EUR/USD pair. Check out our article “Forex Trading Strategy – Combining Moving Average Convergence Divergence and Parabolic SAR” to learn about a quite simple, but yet effective strategy, based on two of the most popular trading indicators.